The Holiday Inn Express in Utica! Perfect for Staycations or The Business Traveler. Well, after spending Mother’s Day weekend in Toronto, we decided to head back to Windsor and then straight onto Michigan to have a small, overnight shopping staycation in Utica, Michigan. We’ve always driven by this hotel and said that after a long day of shopping, we would have loved to stay the night to rest up and then continue shopping the next day! We can’t help it, there’s nothing like American shopping prices and American food. You really cannot go wrong. This location, happens to be in an optimal spot, it’s close to the main road and near EVERYTHING. 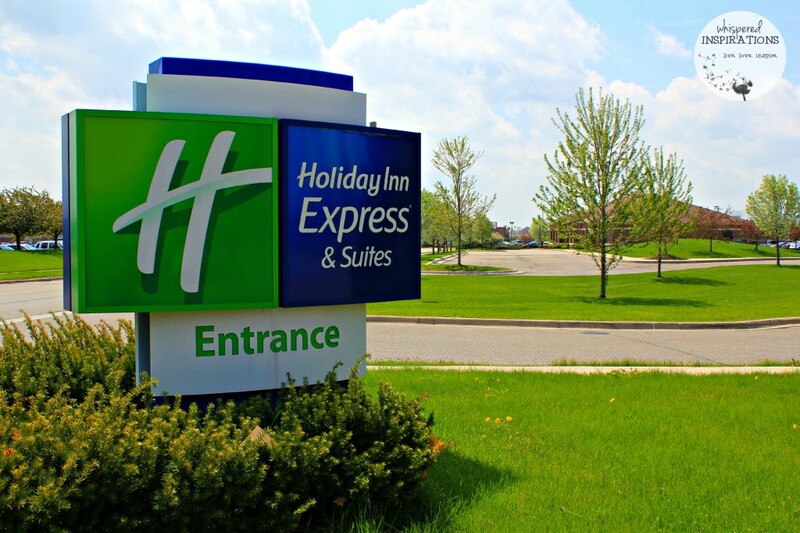 Enjoy comfortable accommodations near Detroit at the Holiday Inn Express Hotel & Suites Detroit-Utica. Your family will love staying at their hotel in Utica, Michigan, which is located just off Highway 59 with easy access to numerous area attractions. Nearby sights & activities include Stony Creek Metropark, the Palace of Auburn Hills – home of the Detroit Pistons downtown Rochester Hills, the casinos of Detroit and shopping at the Lakeside Shopping Center and Partridge Creek Mall. 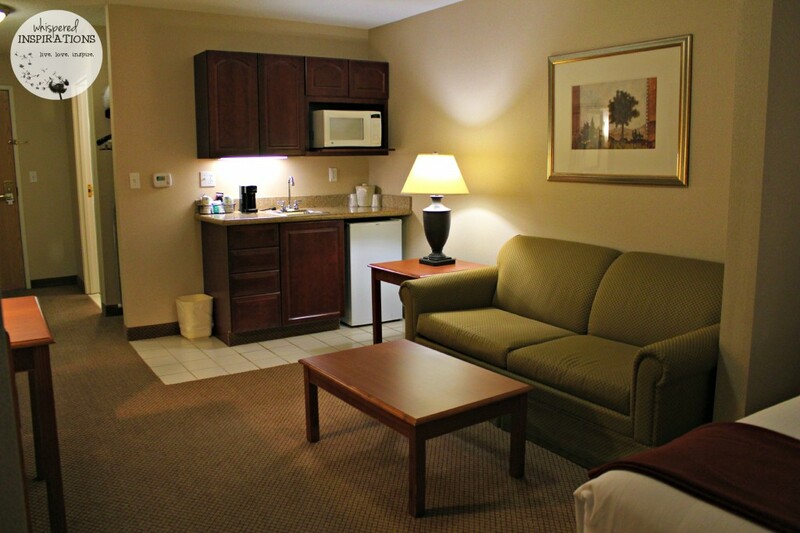 Business travelers will be impressed by the convenience of their accommodations near Detroit. 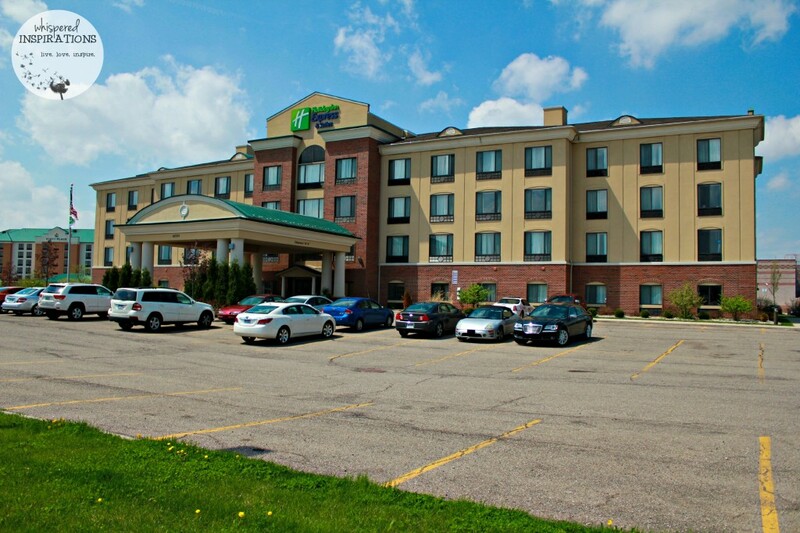 Situated in the suburbs of Utica, MI, our hotel offers close proximity to many area businesses. Some of these companies include DaimlerChrysler, Ford Motor Company, St. Gobain Sekurit, Inc., Delphi, Selfridge Air Force Base and the General Motors Technical Center. 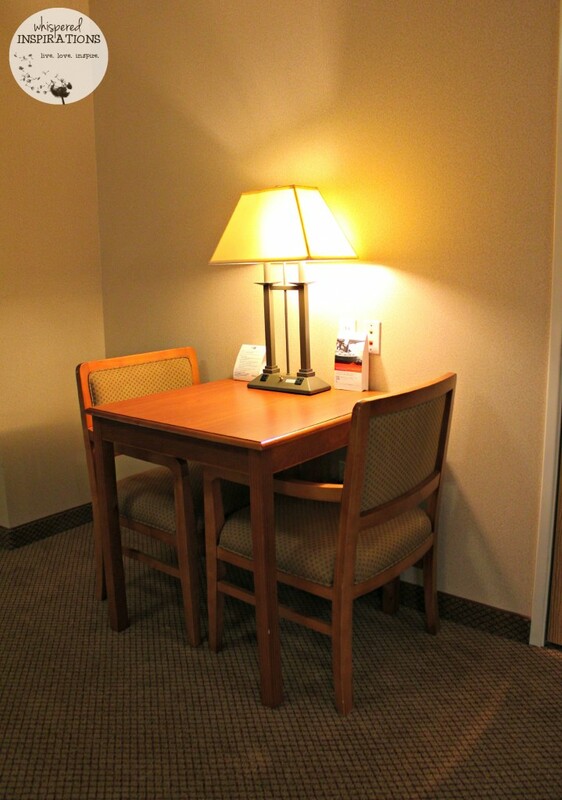 While lodging in Utica, Michigan use our Business Center with a fax machine, copier, printer, available computer and free high-speed, wireless Internet access for all your business needs. We loved the fact that we could use their business center to print out our tickets for our flight to Miami, which is where we were headed to next. Not to mention, we were able to browse the internet at our leisure. It was very convenient and super useful when I needed to submit some work as soon as I had gotten into the hotel. The beds are always comfortable and did I mention 6 of us stayed in this room comfortably? Hubby and I took a bed, my parents took a bed and the girls shared a pull out bed. Everyone was comfortable and had plenty of room to stretch out, chill, watch TV and relax after a long day of shopping! 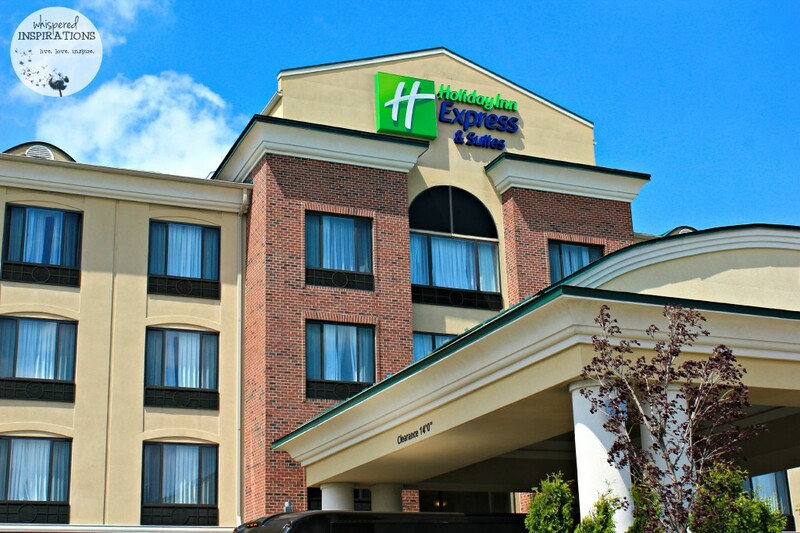 If you’ve followed our family travels, you’ll know that we love staying at the Holiday Inn Express. 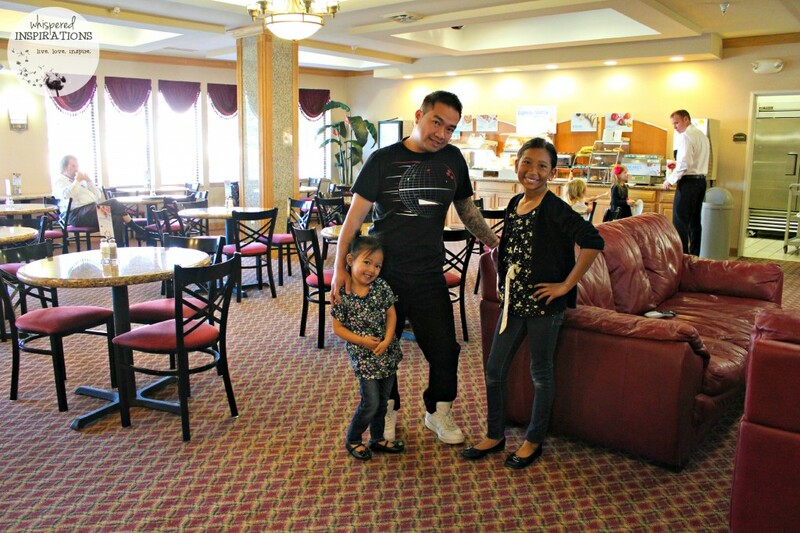 It is always clean, spacious, comfortable and the staff is always amazing. 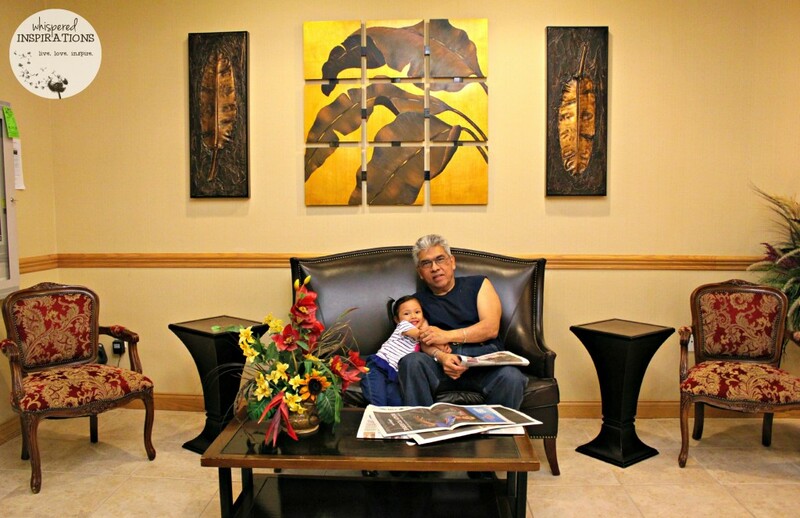 Our 2-bed Queen Suite was perfect for our family of 4 plus my Mom and Dad who frequently travel with us. Once we arrived, the room was at a perfectly cool temperature, as it had been a very hot day. 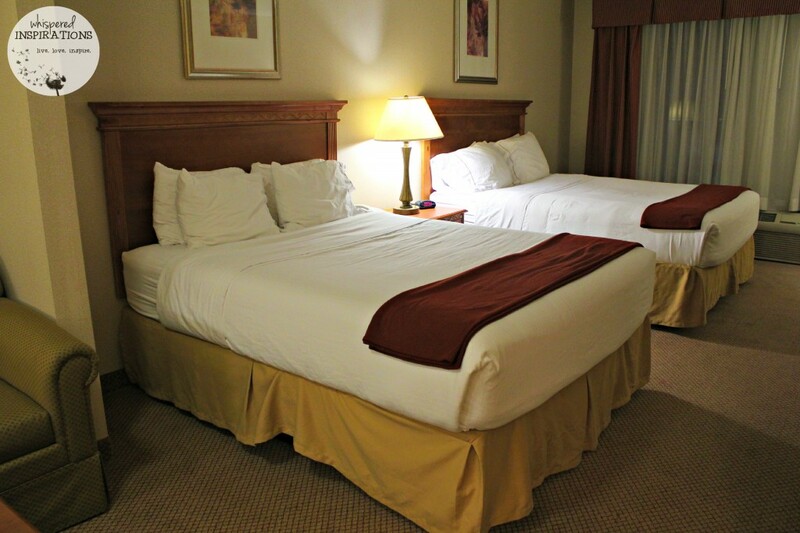 The two Queen beds were calling our name and I love the fact that the beds come with FIRM or SOFT options for pillows. Yes, they really do cater to you from head to toe! 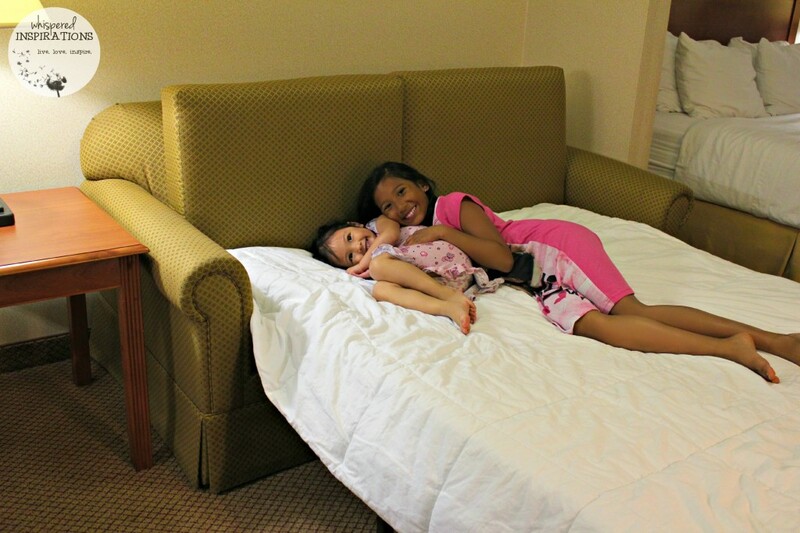 When we travel, we want the kids to love it and to be comfortable. The girls look forward to our stay at the Holiday Inn Express each and every time. They are excited to check out the room and pick out where they are going to lay their heads for the night. 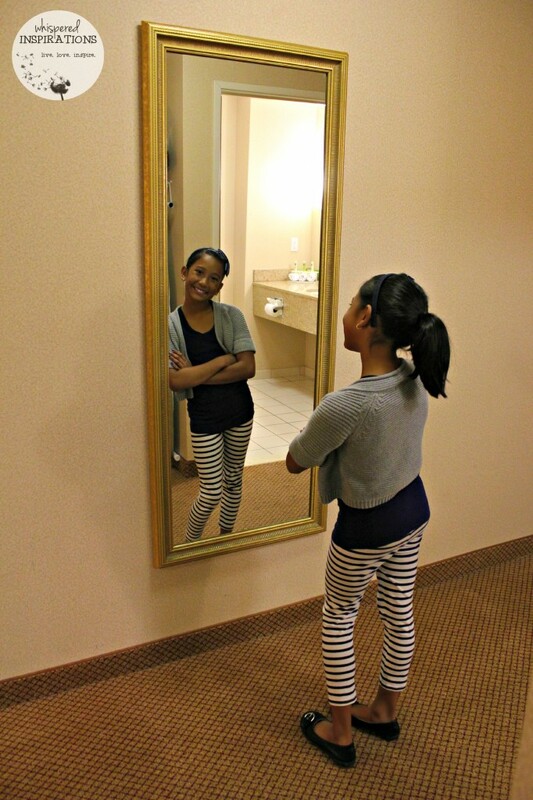 Gabby loved the Holiday Inn Express so much, she decided to make a video tour for all of you! She will walk you through our room, the lobby, elevator, pool, breakfast area and she will tell you what she thinks about it all! Check it out, you will see first hand at how nice and clean the Holiday Inn Express is. 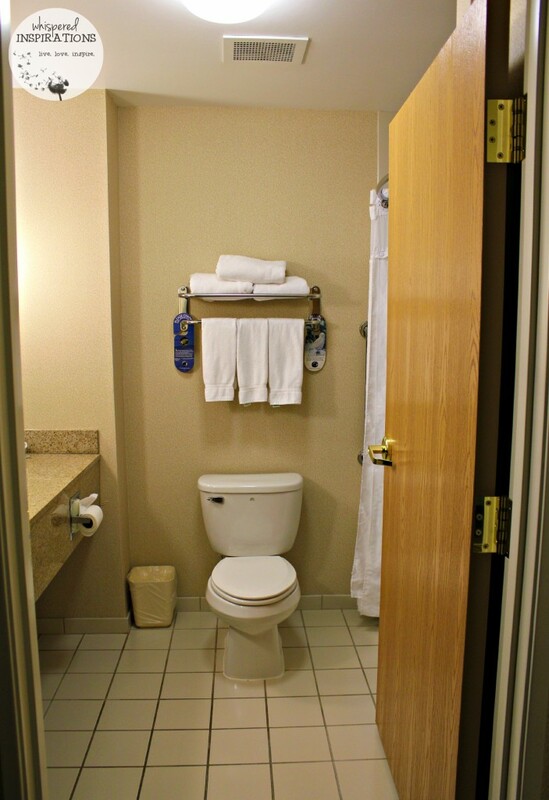 Let’s face it, when you book a room, you want to see what the bathroom looks like. I know I do! Well, you won’t be disappointed because this washroom is clean and has everything you need. Plenty of towels, a nice clean tub, a cool shower head and toiletries from Bath and Body Works. 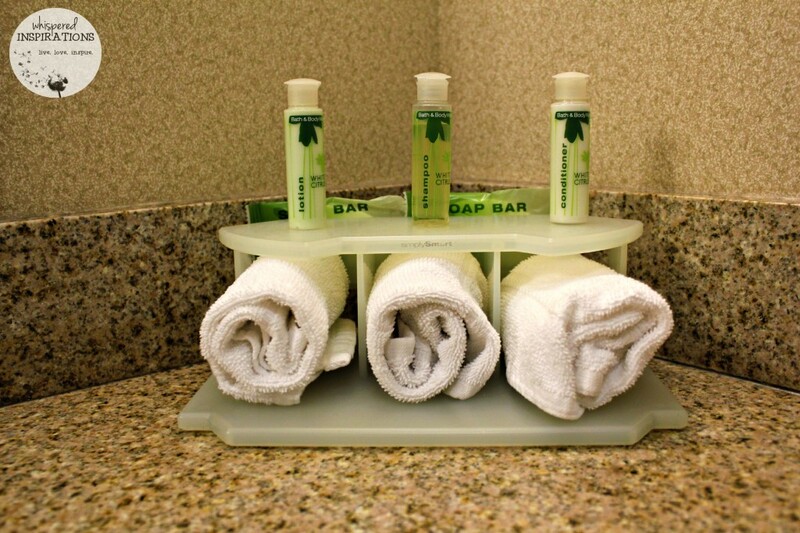 That way, you’ll always smell divine when you leave the Holiday Inn Express! 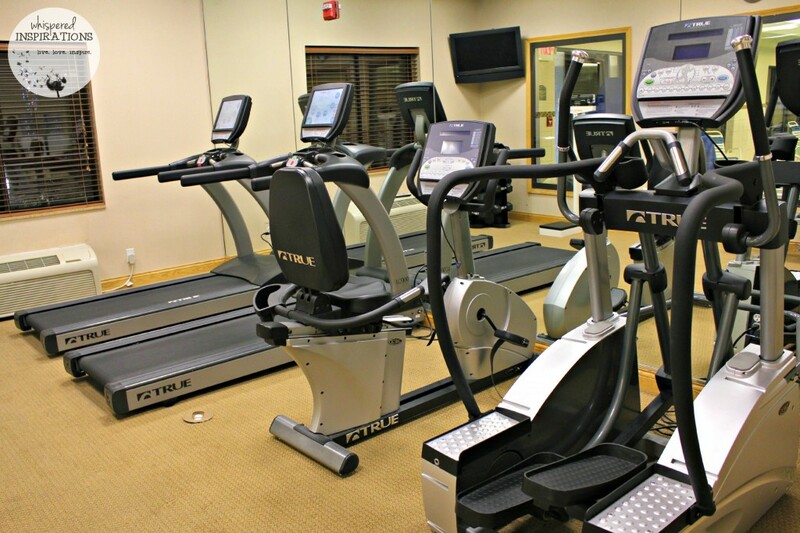 If you are one of those super awesome and dedicated people who never miss a work out, well, the Holiday Inn Express has you covered! 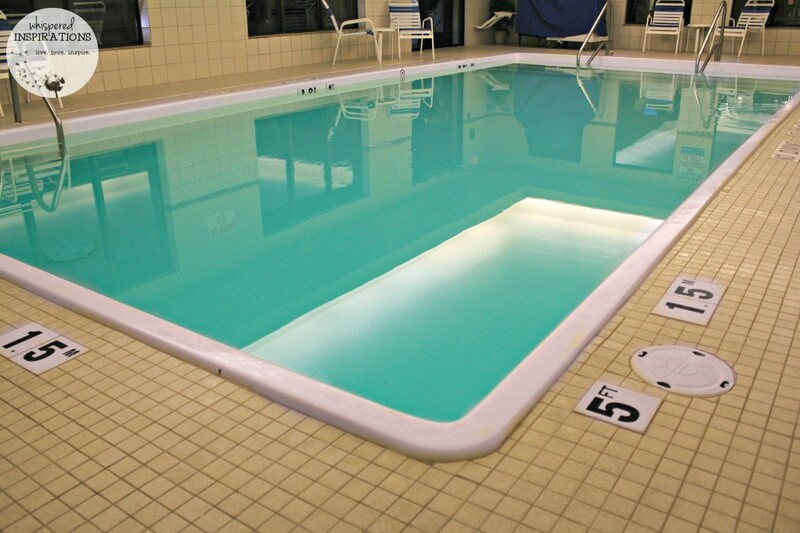 There’s a work out room and a nice size pool to get some laps in. Or you can just jump in and enjoy! The girls of course, absolutely loved the pool and it was the perfect temperature too. Treat yourself right when you visit Utica, Michigan. This heated, indoor pool, their modern Fitness Center and their famous complimentary hot breakfast bar. And if it isn’t, it SHOULD be! 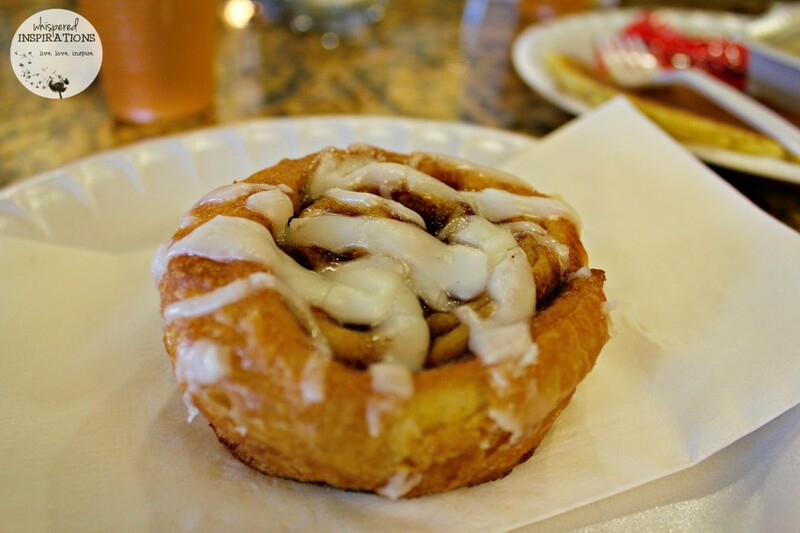 Well, I know that almost every single person that I’ve spoken to has heard of the Holiday Inn cinnamon buns. They’re warm, oeey gooey and they’re sure to please your taste buds. I love their hot breakfast buffet, there’s something for everyone! 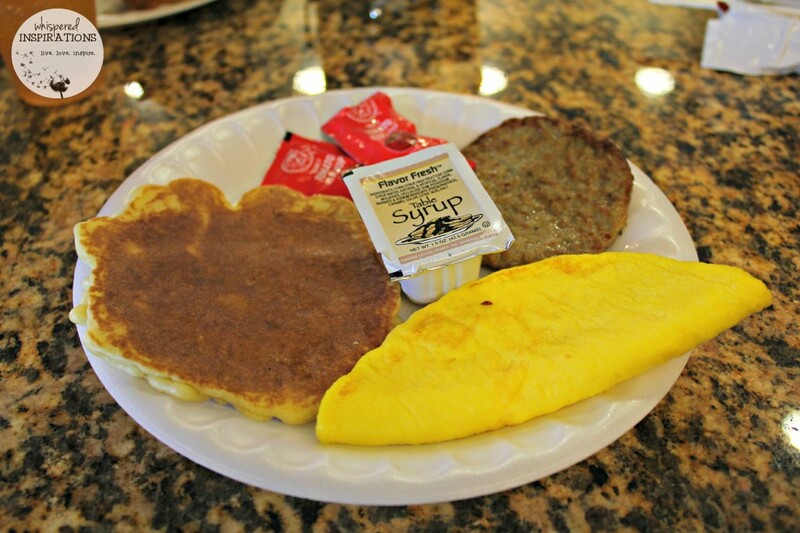 I love having a cheese omellete, sausage and maybe the do-it-yourself pancake! My parents absolutely ADORE the buffet and they enjoy having the eggs, biscuits and oatmeal. Oh, and coffee of course! They wake up at 6:30AM (YES, that early) to head down to get their Holiday Inn Breakfast. As always, every single one of us enjoys a cinnamon bun, it’s tradition! Well, you gotta stay here! It is right off Highway 59, it’s near a ton of restaurants. Two malls, grocery stores and within driving distance of other cities and malls. 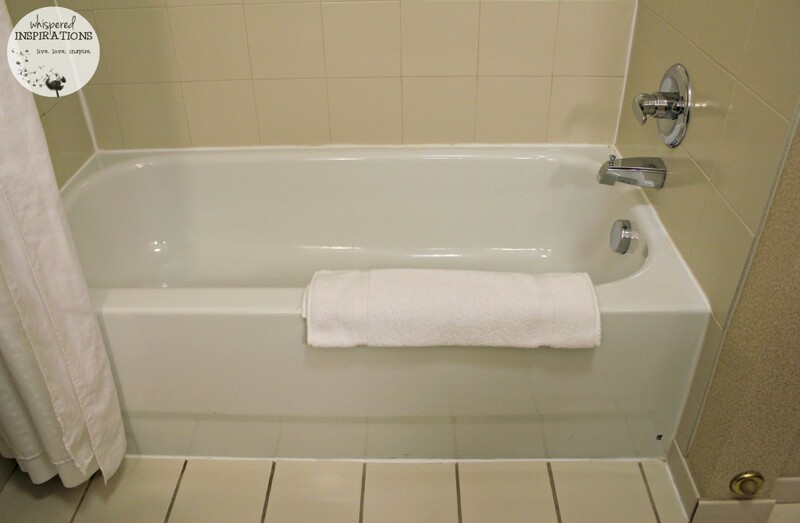 We will definitely be adding this to our hotels that we will always stay at when we come to Utica, MI because of the location, rooms and best of all–the staff. The staff was amazing, they were so kind to us from the second we checked in, until the minute we checked out. We called down for extra pillows and blankets, they were up in no time. I couldn’t get my laptop connected to the WiFi, they came in and hooked it up for me. The service was superb and that’s what’s going to keep me coming back again and again. Make sure you visit the Holiday Inn Express for more information and to book your next stay, here. You can also find them online and they love to engage in great conversation, follow @HIExpress on Twitter and @holidayinnexpress on IG. Have you stayed at the Holiday Inn Express? Wow, it looks great! I've never stayed at a Holiday Inn Express but I'm going to have to see if there is any near our summer travel destinations. I've never stayed at a Holiday Inn Express, but it looks really nice. We'll have to consider this hotel for our summer road trips. Yes, you should! Great prices, breakfast and comfort! That looks like a great hotel. The room is nice and it's so clean, too! HOW FUN! I really have to book a staycation soon for my family at Holiday Inn Express. That looks like such a nice location! IT is in Utica, Michigan! It looks like you had a great experience. My family stays at Holiday Inn from time to time when we travel. We love staying with them. They have everything we need. Sounds like an amazing time. Love that pool! IT was so warm too! I love that they have such nice fitness facilities! My recent post Spring &amp; Summer Toddler Fashion Essentials for Boys! Perfect for the dedicated fitness gurus! 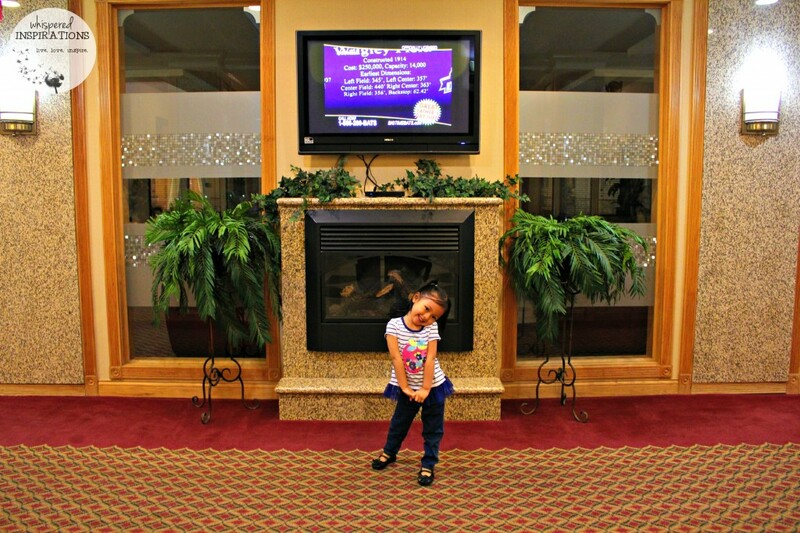 We love staying at Holiday Inn Express! They are always so clean and quiet! Ohhh, super quiet. I was shocked! Fantastic review and I love your photos. Looks like you and your family had a great time. We had a great time recharging our batteries! Love the dining room area in the room, that entire room is a great size for larger families! awesome!! I have been pleased with how nice Holiday inns are and a great price for families. I'll easily spend 20 extra dollars on a room if it include continental breakfast. They are very decently priced. 🙂 Love that they include WiFi too! sounds really nice and comfortable, looks very clean too! It's all the things you need in a good convenient hotel! WOW, that is amazing. Yes, the staff is always incredible. Never a complaint. Looks super clean and very nice! I would definitely love staying here!! It's been a while but yes have stayed at a Holiday Inn! Your stay looks great! Love how they have updated! Love this review Nancy! I have been a long-time fan of Holiday Inn and it is my hotel chain of choice always. The room looks amazing as does EVERYTHING else! I totally admit to being in LOVE with their breakfast! I am truly in love with the breakfast. Cannot go wrong. Thanks Kristen! LOL, I am totally with you on that one! Wow what a great review. I had no idea that Holiday Inn was so nice these days, we might have to book through them next trip! Yes, they are updated, modern and CLEAN. We love Holiday Inn Express their prices are reasonable! Wow, looks like such a nice place to stay! I love that they actually have a deep pool! That pool looks amazing! I went to Utica about 20ish years ago. I can't remember where we stayed, but who knows, this could have been the hotel! Haha, imagine that! It would be a small world if it was! That is awesome Brett, there is always the Holiday Inn Express. I love that shower head. 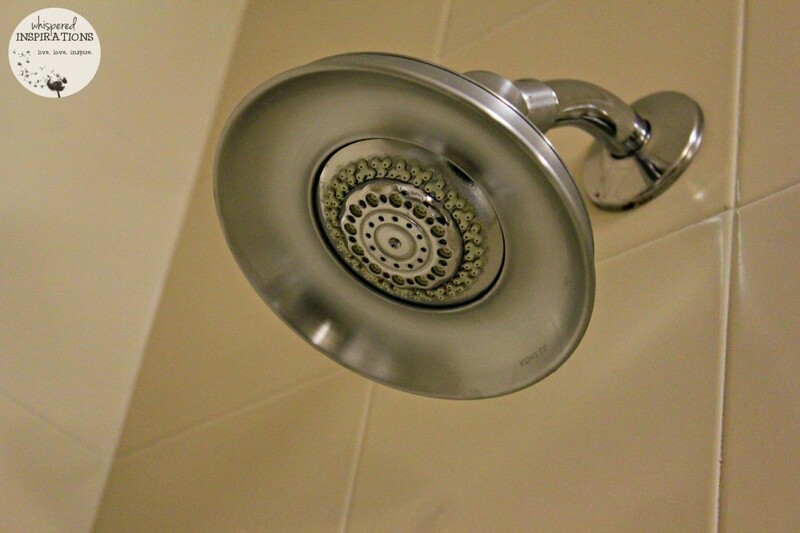 That is a pet peeve of mine….hotels with bad showers. That's a nice looking hotel. Me too, I love the Holiday Inn Express. Always so clean and updated. A Michigan staycation is actually on our to-do list this summer! Thanks for the suggestion of where to stay.